Since July last year, Link One’s Life Matters® Officer James Tranter has spoken to 5,500 school pupils about Life’s message and services. 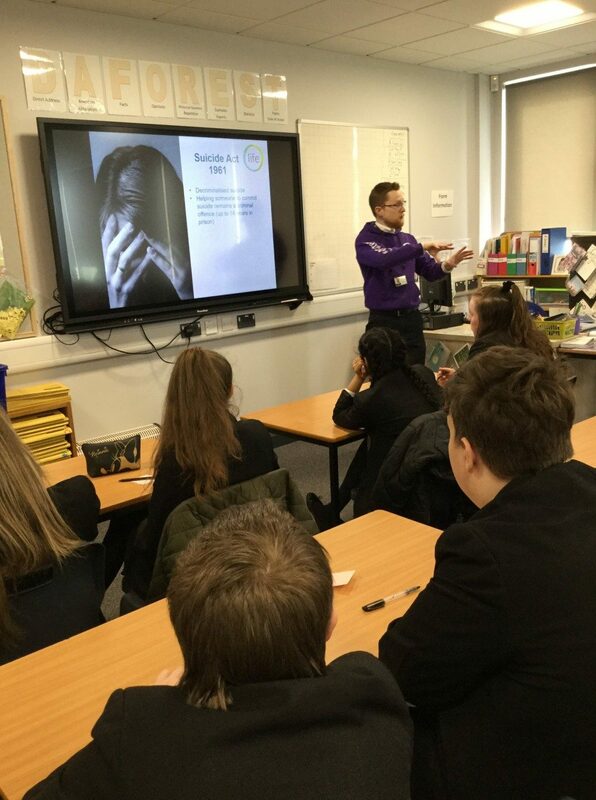 The above picture is of James delivering Life’s Euthanasia presentation to a Year 10 class at St John Fisher Catholic College in Newcastle-under-Lyme. Thank you to St John Fisher for inviting us in! The Euthanasia presentation is an engaging, informative, and sensitive look at the prolife position on euthanasia, current UK euthanasia law, real-life case studies, viewpoints of doctors and those who would be directly affected by euthanasia, and palliative care. We can speak to year groups or to any class size. A typical presentation will last 50-60 minutes (usually a single lesson).